You turn on to the road that rolls out ahead of you and tuck in for an adventure that may last hours. Every muscle movement has been trained to leave it all on the road; nothing gets wasted in this deliberate harmony between drivetrain and forward momentum. 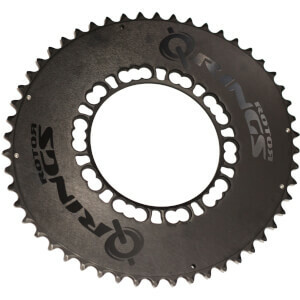 We created Q-Rings 110BCD for your compact cranks based on the concept that you could pedal more efficiently if you could only take greater advantage of your maximum power effort while lessening the time spent in the dead spots of a pedal rotation. 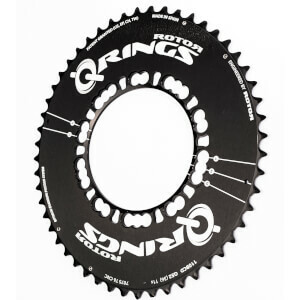 Q-Rings´ subtle but efficient 10% ovality combined with an unprecedented orientation factor yield an improved pedal stroke marked by performance. Choose from 5 Optimum Chainring Positions (OCP) to fine-tune your improved riding experience and go further and faster with less fatigue.